Explore the full depths of your twenties with bravery and vulnerability! With insight into life skills, personal growth, and spirituality, Ready or Notwill set you on a faithful trajectory for a good and meaningful life. 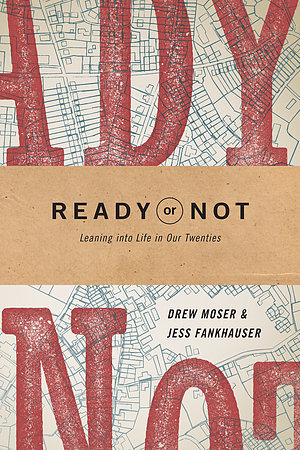 Ready or Not by Drew Moser; Jess Fankhauser was published by NavPress in April 2018. The ISBN for Ready or Not is 9781631467967. Be the first to review Ready or Not! Got a question? No problem! Just click here to ask us about Ready or Not.